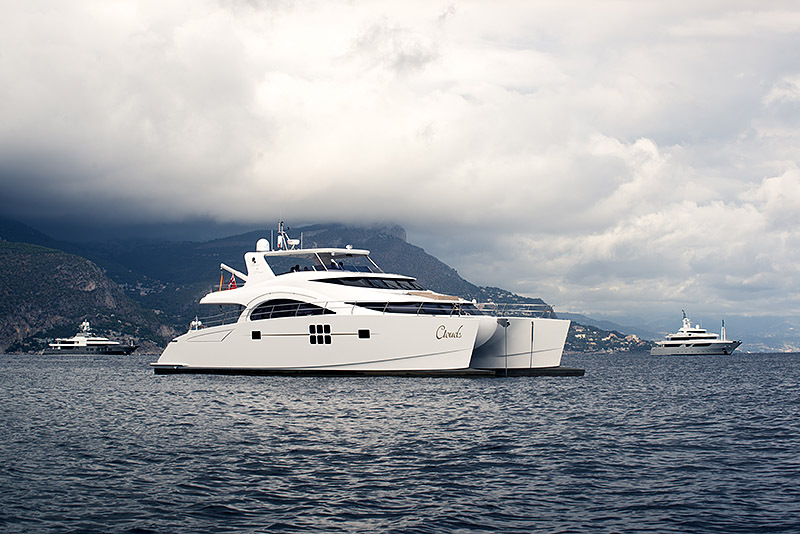 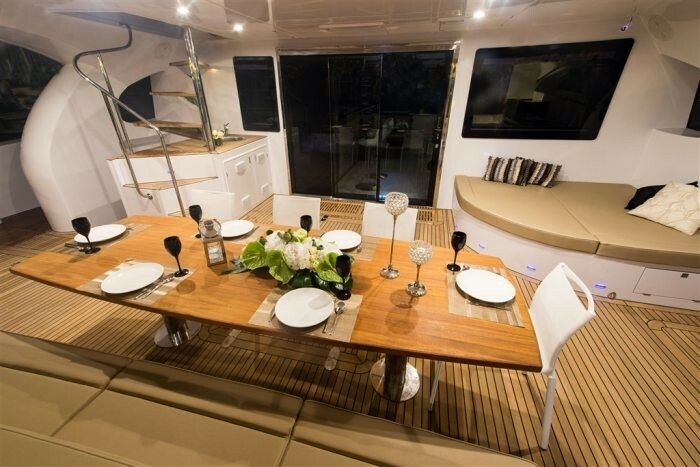 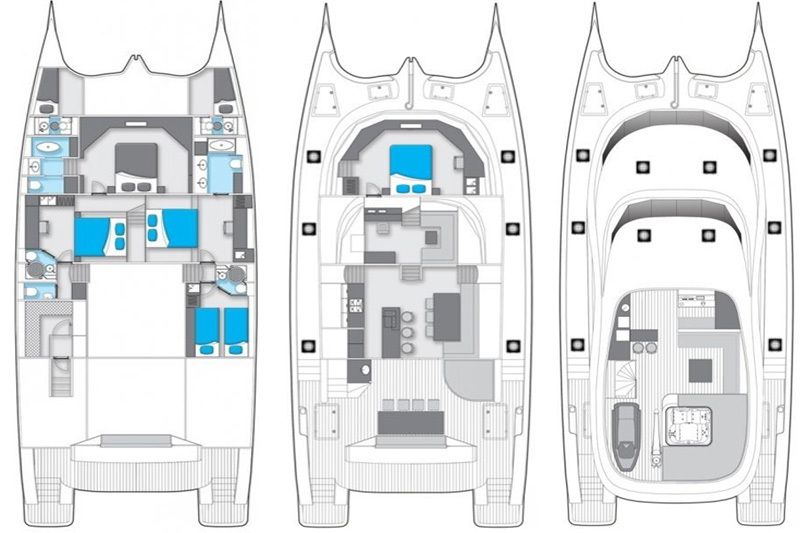 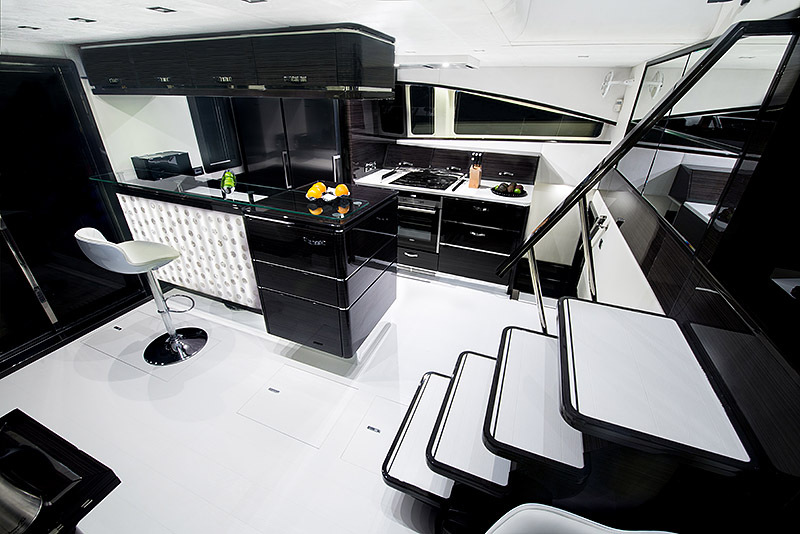 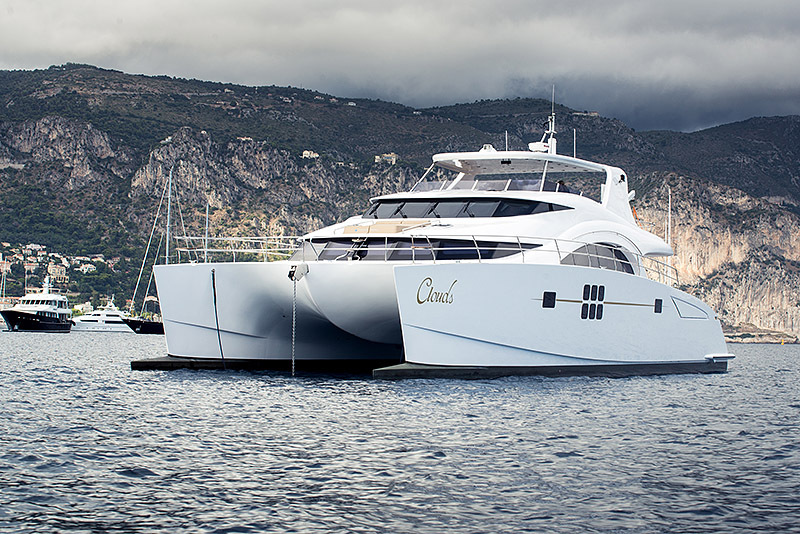 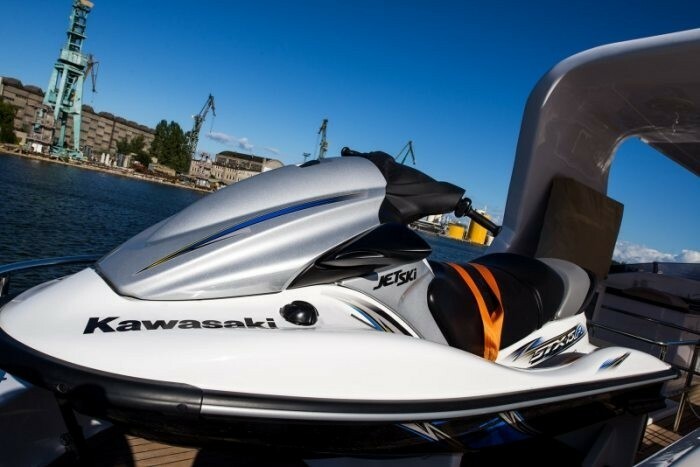 Eighth unit of Sunreef Yachts popular power catamaran model – the 70 Sunreef Power introduced in 2008. 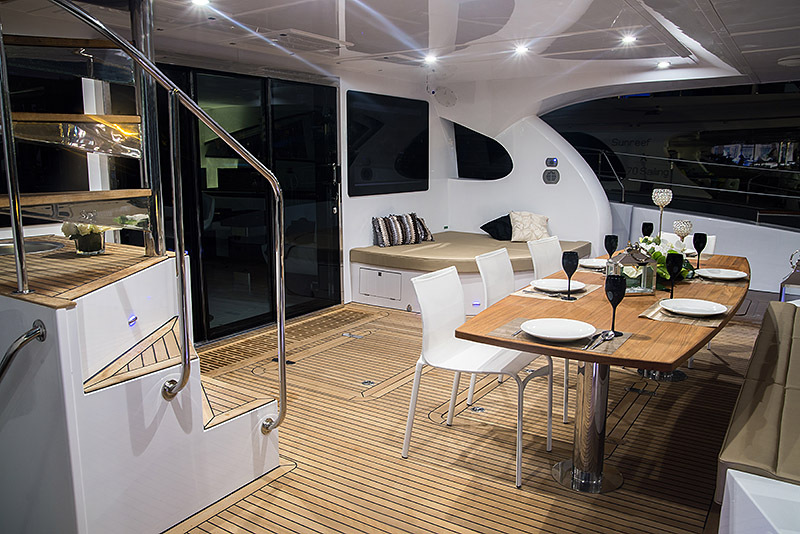 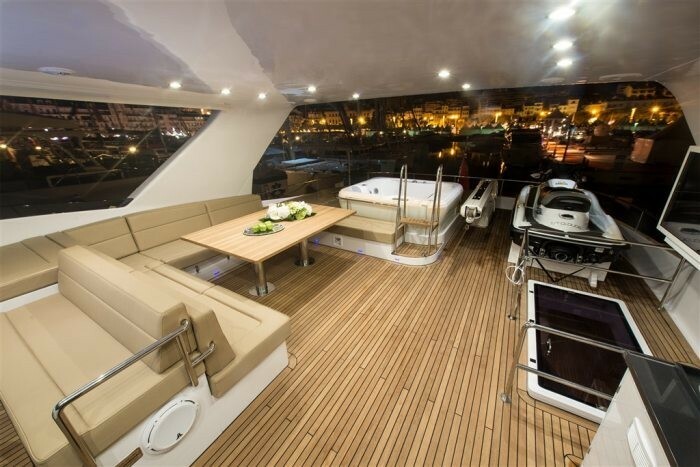 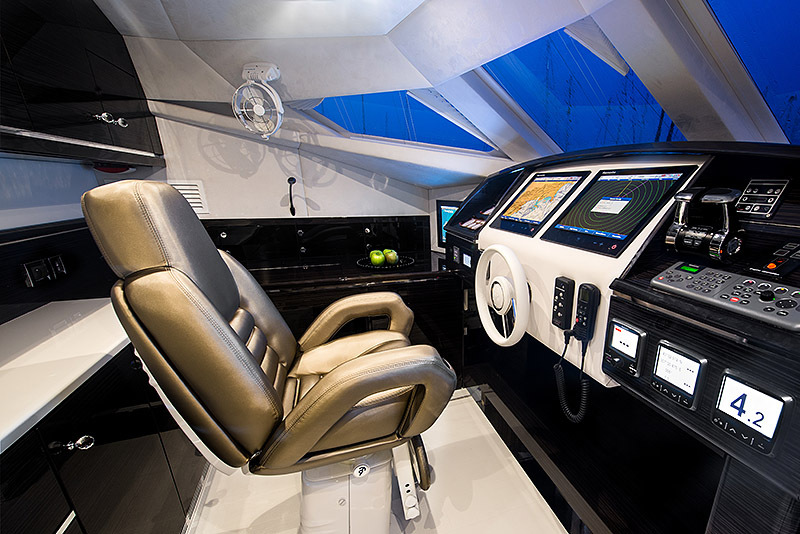 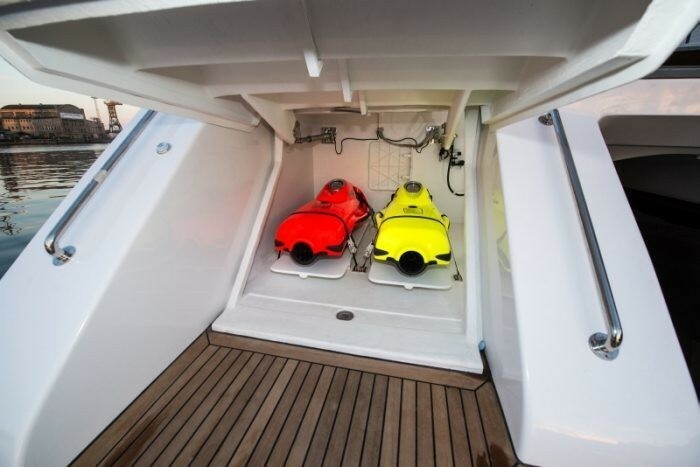 A Turkish bath located stern on the starboard is one of the new fun features of the yacht. 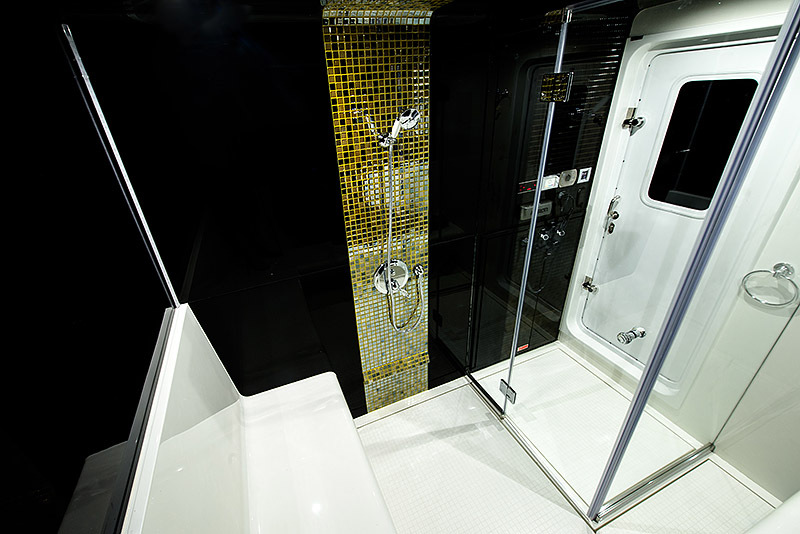 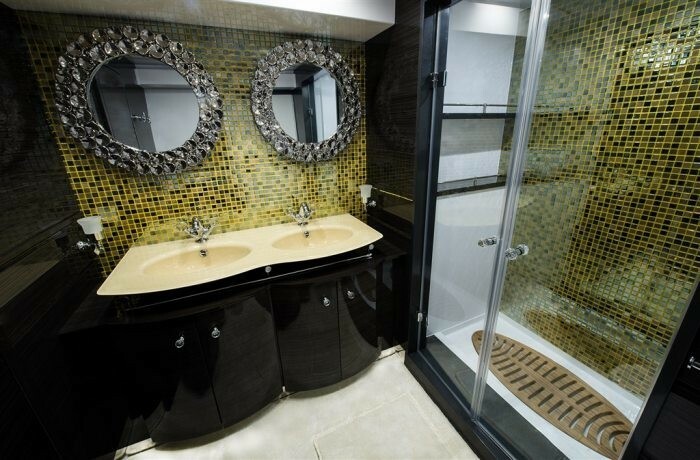 This cosy spa zone with heated seats and additional shower is designed to fit 4 – 5 guests. 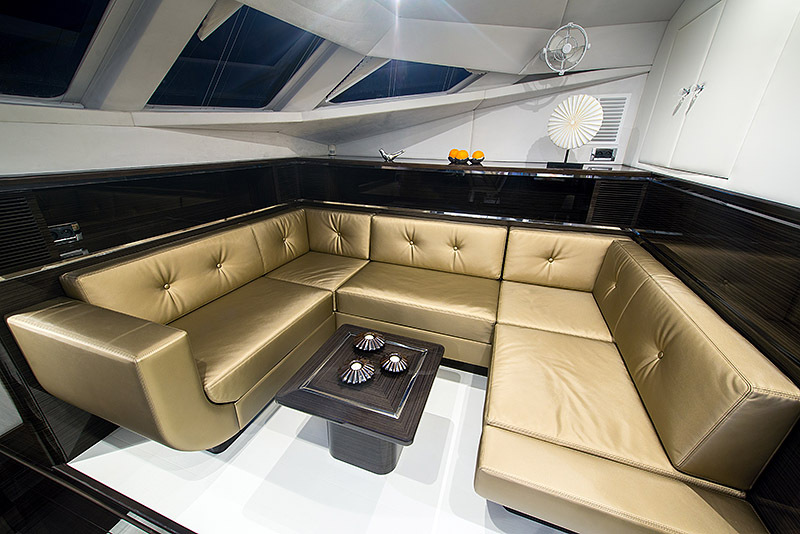 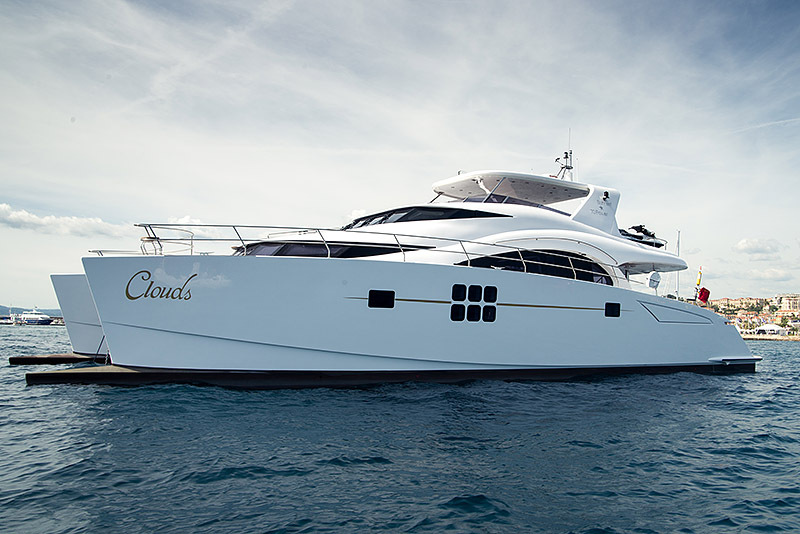 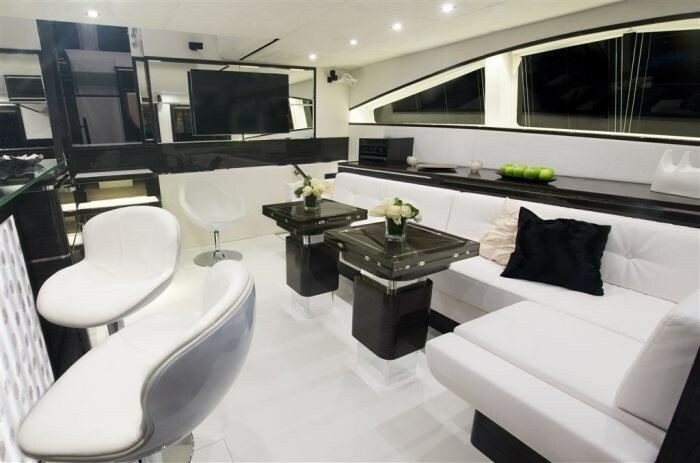 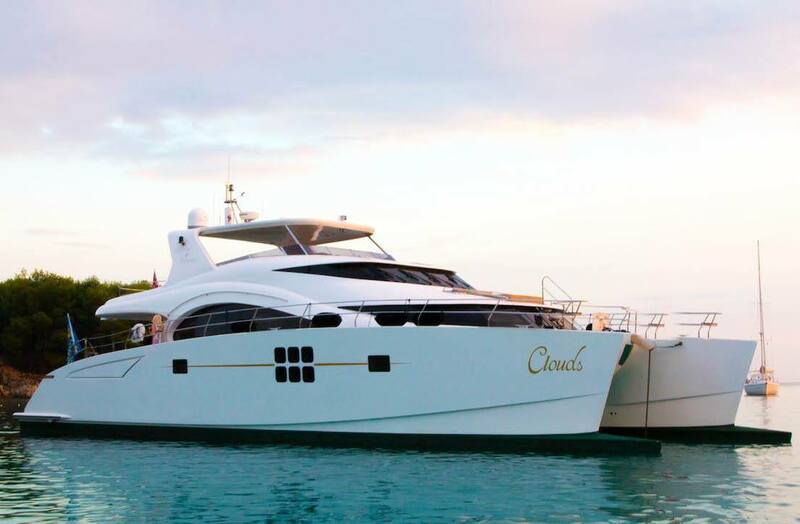 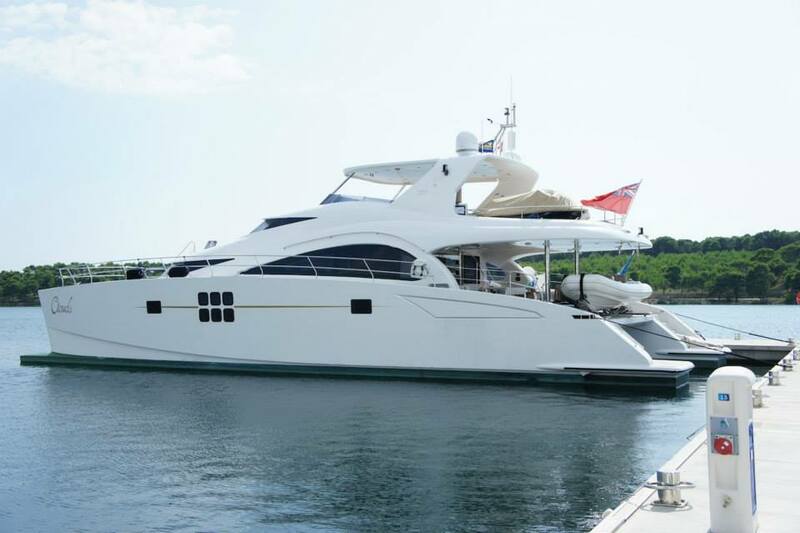 The spacious flybridge accommodates Jacuzzi, karaoke system with high-quality audio equipment, disco lights and 50′ waterproof TV.